Seinfeld was born in Brooklyn, New York City. 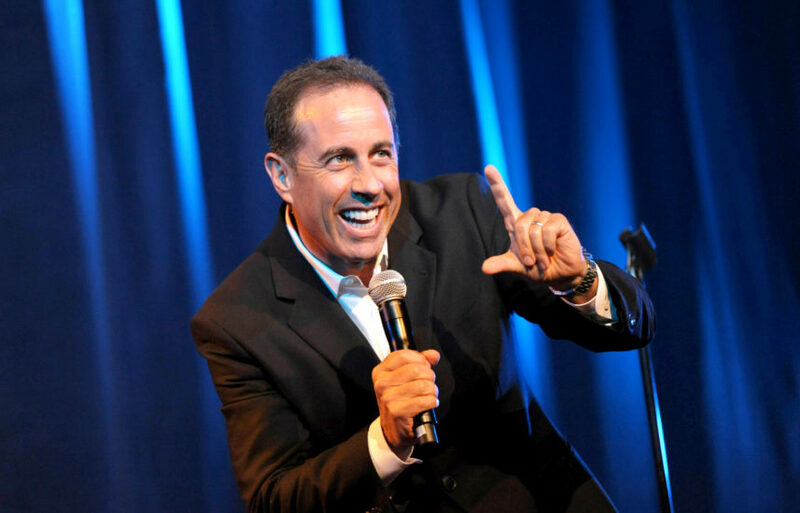 His father, Kálmán Seinfeld (1918–1985) was of Hungarian Jewish descent, and collected jokes that he heard while serving in World War II. His mother, Betty (née Hosni; 1915–2014), was of Mizrahi Jewish descent; her parents, Selim and Salha Hosni, were from Aleppo. His second cousin is musician and actor Evan Seinfeld. Seinfeld grew up in Massapequa, New York, and attended Massapequa High School on Long Island. At the age of 16, he spent time volunteering in Kibbutz Sa’ar in Israel.